Through his words and original art, Edward Hays challenges us to embrace our baptismal call to help reconcile the world to God in The Pilgrimage Way of the Cross: Stations on Our Baptismal Journey. By adding six stations to the traditional fourteen, Hays recalls the baptism of Jesus, the commissioning of the disciples, and the ascension of Jesus (among others) to emphasize our baptismal journey toward a more just and compassionate world. Twenty original drawings by the author introduce each of the Stations of the Cross and invite spiritual reflection on the mandates of our baptized life in Christ. 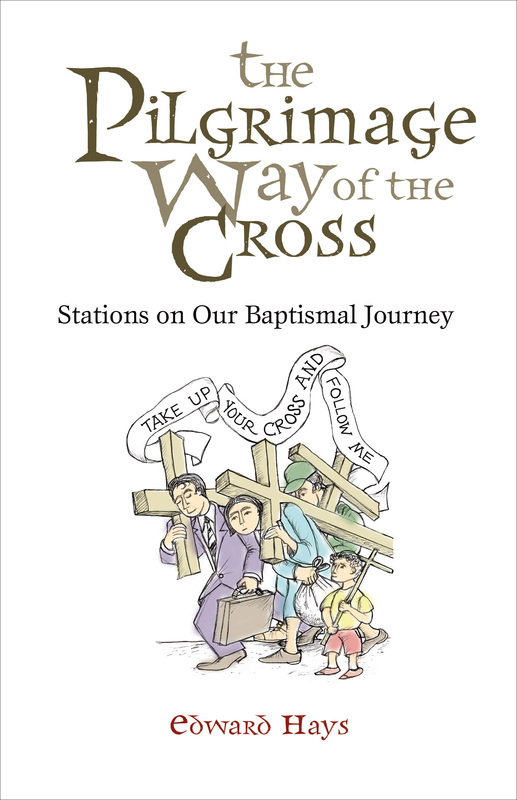 The Pilgrimage Way of the Cross: Stations on Our Baptismal Journey is written for use by groups and is ideal for large or small parish groups and any community serious about spiritual renewal and the social mission of the church. Use the words and images to tie together all parish activities during Lent from homilies to meetings to outreach programs. when books come in I enjoy taking the time to preview them. This year Edwards Hays' book, The Pilgrimage Way of the Cross caught my attention. The book never left my desk. "The book was captivating, I wanted to read on each day and found pacing myself was a Lenten offering in itself. for the person looking to be spiritually challenged and is packed with interesting historical and faith information. The book touched my heart and lead me prayerfully through a Lent season to a glorious Easter I will not forget."